Please remember to send in a post about homeschooling for the next Carnival of Homeschooling. The next Carnival of Homeschooling will be held here at The Foodie Army Wife. This will be the 423rd edition of the Carnival of Homeschooling. The latest Charlotte Mason Blog Carnival is at Joyous Lessons. This week I’m hosting the Carnival of homeschooling for the 3rd time. Hooray! I love reading all the entries that I receive and I hope you do as well. I love reading what other homeschoolers are doing so that I can gleam new ideas or solve some of my own problems and get new resources. There’s so many great resources out there and it’s all for free, the problem I have is keeping up with so many blogs. We’re getting into the dead and cold of winter, it has been such a cold winter for us here we don’t want to let the kids out. It’s that cold. My dog runs out to use the washroom, and runs right back in. This is my energetic Labrador retriever who would rather play outside than come in. Yes, that’s how cold it is. Which also means that we shouldn’t really have any distractions from homeschooling right? Well, we shouldn’t anyways, but I find myself getting into a homeschooling lull after the holidays so we’re having fun playing board games and enjoying some family time together while the books can wait. Do you get those winter blues after the holidays? Well, perhaps you need some encouragement. Thirteen years ago when Janine and I started homeschooling we were a bit cautious about telling people. Partly it was because we were still learning the value of homeschooling. After a couple years we become more comfortable about how the education experiment was going and we were more confident about the value of homeschooling. We could see great benefits to our children, and to the other homeschoolers we hung out with. Today Janine and I are willing to bring up the topic of homeschooling in a conversation when it is appropriate. Whereas ten years ago we might have tried steering the conversation on to other topics. Now that we have become sold on homeschooling and recognize the many great benefits we have no problem admitting that we are homeschoolers. I think part of the reason why many people fearful to come out of the homeschool closet is because they are still new to homeschooling. They are still learning the value of homeschooling. My guess is there are very few long time homeschoolers who are shy about owning up to being homeschoolers. If you are hesitant to admit you homeschool, my advice is to take it easy and don’t worry about it. After another year or two you will have much greater confidence that homeschooling is a viable option. Please remember to send in a post about homeschooling for the next Carnival of Homeschooling. The next Carnival of Homeschooling will be held here at Living Life and Learning. This will be the 422nd edition of the Carnival of Homeschooling. Alasandra is hosting this week's Carnival of Homeschooling at Alasandra's Homeschool Blog. Robert E Lee was born on January 19, 1807 in Stratford, Virginia. His father, Colonel Henry Lee, also known as "Light-Horse Harry," had served as a cavalry leader during the Revolutionary War and gone on to become one of the war's heroes, winning praise from General George Washington. Over twenty years ago I started using a Franklin planner. The company merged with Stephen Covey’s company to produce the Franklin-Covey system. Stephen Covey’s The 7 Habits of Highly Effective People had a large impact on the approach suggested for using their planner. One of the key components is to really ponder on your most important values and record them. These values help you recognize the various roles you take on in your life. Then as you do your weekly planning you reflect on your values and roles. This helps you focus on the things which are really important to you and helps you not to be distracted by things which seem urgent but are of little worth. When I first started using this system and the planner I spent several hours pondering on my values and roles. I dutifully recorded them. Life seems to be hectic and unfortunately I get distracted, so I don’t sit down every week, but on average I manage to sit down a couple times a month to reflect on the most important activities in the upcoming days. I’ve found the Franklin-Covey approach a great help in keeping me focused and making sure I am working on what is truly important to me. I believe having a system like this can help us be much, much more impactful than if we just kind of float along. In addition to teaching our children how to read, do math, know a little bit about history and so on, one of the really vital things we can teach our children is how to organize their lives so they will not flounder but move purposefully forward. As our children have gotten older Janine and I have encouraged them to step back and make goals. We’ve asked them to take charge of their lives. We’ve worked to give them the tools and techniques to manage themselves. In one sense this may be one of the most important lessons we teach our children. Michael Staton claims The Degree Is Doomed. I enjoyed the post. Physics has a concept called momentum. Things will keep going the way they are going unless there are significant forces. I can see reasons why the college degree may lose its value, but I don't think it will happen over night, and it maybe that only some degrees lose their value. I happened across an article on The Story Behind Why AOL CEO Tim Armstrong Fired An Employee In Front Of 1,000 Coworkers. Meanwhile, Back in the Fatherland ... is an update on what is happening with the Wunderlich family in Germany. I am so glad homeschooling is legal in the United States. "The one worry I have", says Lenin, "is this: will the people follow you? What do you think, comrade Stalin?" Two Russian border guards, Ivan and Vladimir, on a cold winter morning. Looking across the border, Ivan is smiling to himself, then he notices that Vladimir is also smiling. Ivan [suspiciously]: "What were you thinking about?" Vladimir: "Same thing you were thinking about, comrade." Ivan: "Then it is my duty to arrest you." The old man goes home, and his wife says, "So they're out of meat again?" What do Winnie the Pooh and John the Baptist have in common? #2: Collect the whole set. A candidate and a voter are having a conversation outside the polling place. Voter: I would not vote for you if you were St. Peter himself. Candidate: If I were St. Peter, you would not live in my district. He should have had Ted Kennedy drive her home that night. Found at the end of a submission by Alexander Falk to the info-mac digest. This travelling guy was once driving outside a small town and right in front of a mad peoples home (madhouse or whatever it's called) his front wheel comes off. Looking into the problem he finds that all four of the wheel's nuts have come off. `This is a fine mess' he thinks loudly `how am I ever going to get out of here'. In frustration he sits down by the side of a road to think things out. All this while there was a mad inmate who watched the whole scene from his window. After a while he calls out to the traveler asking him to approach the window. The man looks at him and decides that the last thing he can handle is a conversation with a lunatic and ignores him but eventually gives in when he persists. When he approaches the window the mad man tells him to take one nut out of each of his other wheels and use it temporarily on wheel that's come off. This way he could get to next town and buy 4 more. The traveler looks at him in disbelief, this had never occurred to him. Totally blown away by this, he apologizes for his rude behavior previously and ask him why he's in a mad house when he's has so much common sense. To this he gets the reply "I'm mad not STUPID". The meek will inherit the earth--if that's OK with you. Here are some funny(?) phrases and constructions that my wife brought home from her class. (She is a high school English teacher.) These actually appeared in her students' homework and exams. I thought that they were funny enough to be included in rec.humor. I loved her so much that I put her on a pedal stool. When I grow up I want to be a whorse trainer. She left him because he took her for granite. In the Middle Ages Europe was swept by the Blue Bonnet plague. When you have finished the final step, Walla! you're ready to bake your cake. From my Franklin Covey planner. Stars is a fun way to see where how our close stars are located. The latest Charlotte Mason Blog Carnival is up at Letters from Nebby. Please remember to send in a post about homeschooling for the next Carnival of Homeschooling. The next Carnival of Homeschooling will be held here at Alasandra's Homeschool Blog. This will be the 421st edition of the Carnival of Homeschooling. Paying more for an education than it is worth is about how the costs of higher education make exceed the benefit. The title says it all: Another reason to homeschool - to teach your children to be honest. Janine posted a picture of the foster boy we ended up adopting: Update on "Baby Bop"
Write down several things you worry about. Circle those things you can do something about and work on them. Forget the rest. If you homeschool in California you may find Academically Preparing a Homeschool High School Student for a State of California University informative. This week's Carnival of Homeschooling is up at Home Spun Juggling. Welcome to the Carnival of Homeschooling: The Model Homes edition! By "model," I mean "miniature reproductions." Last week, my family went to the Holiday Train Show at the NY Botanical Garden. It's become a tradition for us to visit and see what's new. Each year, designer Paul Busse and his team add to the collection of historical buildings and homes in this display. There is always a surprise. Just like our journey as homeschoolers, following the model trains always leads to unexpected discoveries, giggles and wonder. Come along for the ride. From there's-gotta-be-a-better-way file: A man from Kokomo, Indiana drove his car to Indianapolis to pick up a truck he purchased. The problem: two vehicles, ONE driver. So, he drove his car up the road, parked and walked back to the truck. Then, he drove the car a ways past the truck.... The dealership is 63 miles from Kokomo. The story ran in the Indianapolis News. "If you took all the economists and laid them head to toe, they would stretch around the world three times and the only thing they would not reach is a conclusion." How many investment brokers does it take to change a light bulb? A: MY GOD!! IT BURNT OUT!! SELL ALL MY G.E. STOCK NOW!!!!! B: Two. One to take out the bulb and drop it, and the other to try and sell it before it crashes. Heard on WITR yesterday: RIT students have organized their annual community involvement volunteer project. This year's project will be to help clean up Mt. Hope Cemetery. The project has been titled "The Grateful Dead". A rabbi, a priest, and a lawyer were all caught in a shipwreck. Naturally, there are a lot of sharks circling around. All of a sudden, one shark darts in and grabs the priest for lunch. No more priest. The rabbi starts praying frantically, but to no avail, as a shark comes in and eats him, too. Now the lawyer is really worried, as a shark is coming for him. But, miracle of miracles, the shark puts him on its back, carries him to shore, and lets him off. The lawyer, curious, waits till the shark is far enough away not to eat him, and asks, "How come you didn't eat me?" And the shark replies, "Professional Courtesy!" 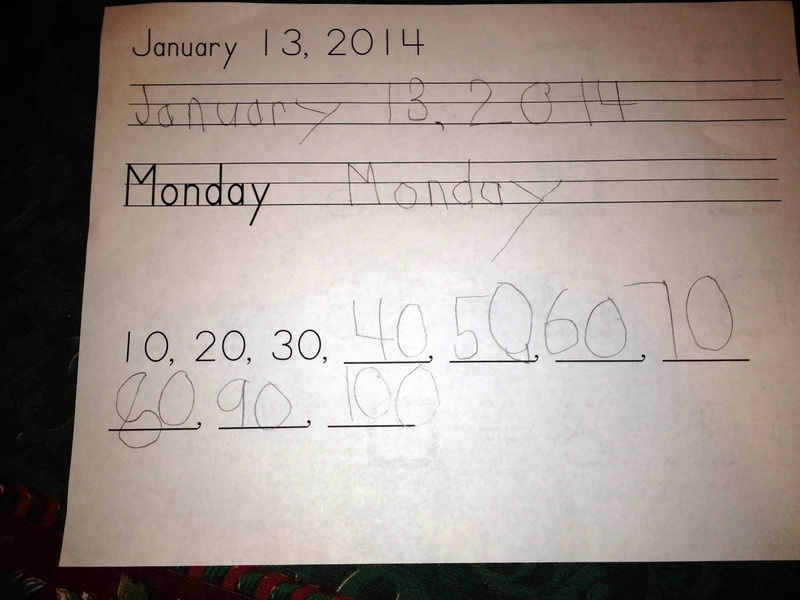 A nice thing about homeschooling is about the freedom to make your own schedules. Be patient with yourself when breaking unfavorable habits. Schedule time to work on breaking an unfavorable habit. On Sept. 28, a production B-1 Bomber crashed. The cause: a flock of birds. The obvious question is, why not devote some of the billions of dollars being spent on national defense to build bird farms? The Army could fence up thousands of birds in selected locations, and release them if enemy planes were detected. This would be called the "Strategic Fence Initiative". Now then...Why are they collecting the phone numbers of a bunch of honest people? I once asked why you are asked for your phone number when using your charge cards. The clerk explained that thieves have been caught because they stupidly put down THEIR home phone number, not the phone number of the person who "owned" the card. ME [picking up phone]: Hello? ME: I don't have any children. SALES REP: Do you have any grandchildren, then? The city of Whittier, California was founded many years ago, mainly by Quakers. There is a prominent sign composed of large, brass letters on one of the financial institutions in that community identifying it as the Quaker City Bank. The last letter of the first word fell off during an earthquake yesterday, making the sign read "Quake City Bank." This is a visual representation of our 1st Grade Curriculum. We are a bit eclectic. Also, our son is a non-traditional learner with some neuro-processing challenges. I create most of my own worksheets using Peterson Directed Handwriting fonts. I got the idea for my "daily sheet" from Saxon Math. 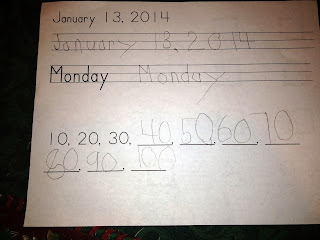 I change the counting pattern and then number each day. You may have noticed that the number of the day corresponds to the date. So basically, I repeat math facts for the counting numbers 1-31. We have stackable counting blocks that are the exact size of the square. I give Baby Bop the correct number of counting blocks. He counts them out for me, then divides them into two towers and then writes the number of blocks for each tower in the square. We recently added a subtraction question following a similar format. Next, I have a work sheet which is a scripture summary. I read the scripture verses with Baby Bop. We talk about it and then he copies a simple scripture summary. I use the same scripture all week and just print out a new worksheet for each day. I try to do a page of Explode the Code every day. Because Baby Bop struggles with phonetic awareness, this is harder than it sounds. I also give him a sheet for writing. I help him write a sentence and he draws a picture to go with it. On Monday, we have a music teacher which comes to the house to give piano and violin lessons. (I love having a music teacher that comes to the house because it saves me so much time). I realized that I couldn't help Baby Bop with his practicing since I don't play violin. I also realized that I could use my daughter's full size violin. So, now I take violin lessons with my son. Baby Bop also has a tutor with training in occupational therapy who comes to the house once a week and he goes to speech therapy once a week. We utilize outside classes, such as gymnastics class, theater class, and science class. All my children attend a homeschool co-op once a week that includes a variety of classes. And of course, Baby Bop plays with Legos, toy dinosaurs and stuffed animals. This sums up my 1st Grade curriculum. Habit is the best of servants, or the worst of masters. It is going to be a long five months. The huge Shell Oil Co. toxic waste trial scheduled to gear up in San Bruno this fall has produced reams and reams of paper. So many, in fact, that the San Mateo County Clerk's office has partitioned off a room where two clerks do nothing but sort and file all those stacks of paper. They've named their space the "Shell Oil Control Center" and posted a sign outside: "Life is Shell, and then you die." " A microchip off the old block." What happens if you cross a midget and a computer? "you get a short circuit". So the Pope, a Monsignor, and some young priest were hanging out in the Pope's office talking. Suddenly, through a partially closed door, they see Jesus Christ himself strolling down the hall. They look at each other aghast. The Pope strides across the office, sits down at a typewriter and starts banging away at it. Over the clatter, the Monsignor shakenly asks "Your Holiness, what are you doing?! That's Jesus himself coming down the hall!". The Pope, still typing away, looks up and says testily, "I don't know about you guys, but I'm gonna look real busy." What did Senator Biden say when he first met with his staff after the New York Times broke the plagiarism scandal? "Don't worry, guys. The only thing we have to fear is fear itself!" Perhaps the cruelest cut of all was when someone asked a Biden staffer why Biden was still in the race. The staffer responded that they had been unable to locate a copy of Hart's resignation speech. In the face of all this scandal, Biden has announced that if nominated, he will not run, and if elected, he will not serve. Many people think that the concepts and ideas that they read about typical SF story are derived from the imagination of the writer. How do you know this? Many of the things I have read about would require an imagination that borders on mental illness. Are these writers producing autobiographies, thinly disguised as science fiction? Just in case, I present here a brief guide, to help you in the event that something you have read about actually happens to you. 1. If you get a phone call from Mars. Speak slowly and be sure to enunciate your words properly. Limit your vocabulary to simple words. Try to determine if you are speaking to someone in a leadership capacity, or an ordinary citizen. Q. What if he or she doesn't speak English? Hang up. There's no sense in trying to learn Martian over the phone. If your Martian really had something important to say to you, he or she would have taken the trouble to learn the language before calling. 2. If you get a phone call from Jupiter? Explain to your caller, politely but firmly, that being from Jupiter, he or she is not `life as we know it'. Try to terminate the conversation as soon as possible. It will not profit you. 3. If a starship, equipped with an FTL hyperdrive lands in your backyard? First of all, do not run after your camera. You will not have any film. Be polite. Remember, if they have an FTL hyperdrive, they can probably vaporize you, should they find you to be rude. Direct them to the White House lawn, which is where they probably wanted to land, anyway. A good road map should help. 4. If you wake up in the middle of the night, and discover that your closet contains an alternate dimension? Don't go in. You almost certainly will not be able to get back, and alternate dimensions are almost never any fun. Remain calm and go back to bed. Check your closet in the morning. If it still contains an alternate dimension, nail it shut. Hope this one doesn't happen to you. There is not much you can do about it. It can be quite unpleasant. 6. If you meet an older version of yourself who has invented a time traveling machine, and has come from the future to meet you? Follow the books on this one. Ask about the stock market and cash in. Don't forget to invent a time traveling machine and visit your younger self before you die, or you will create a paradox. I hope this guide will be of help to you, should you find yourself confronted with any of the situations described. If anything like the above should happen to you, get out your typewriter, and crank out a story. Please remember to send in a post about homeschooling for the next Carnival of Homeschooling. The next Carnival of Homeschooling will be held here at Home Spun Juggling. This will be the 420th edition of the Carnival of Homeschooling. "You will gain admiration from your pears." Comice? Bartlett? Canned? I don't grow or eat them, anyway. "It is a tragedy in our society that we have so few innovators, and so many copiers." "If marriage is outlawed, only outlaws will have in-laws." When an elderly and distinguished scientist says that something is possible, he is very probably right. When he says that something is impossible, he is quite possibly wrong. Why is it that we park in driveways and drive on parkways? Why does a ship carry cargo and a truck caries shipments? One in two Californians believes that people are less honest today than they were 10 years ago, according to a statewide poll released today. What's more, many of those surveyed for the latest California poll admitted to committing dishonest acts, according to pollster Mervin Field, but Field thinks that some of those people may have been lying. If your housekeeper is deported who will clean up after the kids? "Friends come & go, but enemies accumulate." Sue and Bob, a pair of tight wads, lived in the mid west, and had been married years. Bob had always wanted to go flying. The desire deepened each time a barn stormer flew into town to offer rides. Bob would ask, and Sue would say, "No way, ten dollars is ten dollars." The years went pay, and Bob figured he didn't have much longer, so he got Sue out to the show, explaining, it's free to watch, let's at least watch. And once he got there the feeling become real strong. Sue and Bob started an argument. The Pilot, between flights, overheard, listened to they problem, and said, "I'll tell you what, I'll take you up flying, and if you don't say a word the ride is on me, but if you back one sound, you pay ten dollars. So off they flew. The Pilot doing as many rolls, and dives as he could. Heading to the ground as fast as the plane could go, and pulling out of the dive at just the very last second. Not a word. Finally he admitted defeat and went back the air port. Out in the old west, in a dingy, two bit town, there was a bar, built of a few pieces of wood, and a couple sheets. A dog came in one hot dusty afternoon and asked for a beer. After the bartender got over his surprise, he yelled "Get out of here, we don't serve your kind." "Not till I get some rye." "No way, I want my drink." The bartender pulled out a rifle and shot the dog in the leg. The dog limbed out, bleeding all over the place. A couple days later the door swings open, there's the dog, dress in a black vest, a big ten gallon hat, and two pearl handled pistols. "Sculley, Jobs plotted to take over Xerox"
John Sculley and Steven Jobs, giddy with enthusiasm and flush with confidence, plotted in mid-1984 for Apple Computer Inc. to take over Xerox Corp., according to a manuscript of a forthcoming book by Sculley. In scheming to acquire a company six times Apple's size, Sculley and Jobs were doing what they knew best: to think big, to defy the odds, to go for broke . . .
Rather than just make marketing alliances with large companies, as they had done with GE, Sculley thought, Apple ought to actually buy other companies outright. Not small companies, as Jobs suggested. Big companies. "We're not thinking big enough," he told Jobs. "Maybe we should expand our band width (sic) and think if there's a company out there that could really help us take advantage of this technology. The obvious one to me is Xerox." The idea itself was intoxicating. Jobs and Sculley bounced the prospect off former Xerox computer scientist Bob Belleville and then took it to Al Eisenstat, Apple's in-house general counsel. The Xerox gamble fizzled, though, not because of Eisenstat but - in part - because of Jobs. Just as Jobs' impetuous behavior eventually cost him is place at Apple, it got the better of him during earlier talks with Xerox executives. [Sculley] recalls saying to Jobs: "I know you don't admire Xerox as a company because it hasn't been able to commercialize its computer products very well. But let's just go in [to a meeting with Xerox executives] and listen and keep our minds as open as possible. Let's demonstrate to them that we're really mature people." Although Sculley remembers Jobs promising to "behave," he claims the chairman [Jobs] began to attack Xerox almost immediately, proclaiming, "I really shouldn't say this, but I'm going to say it. You guys don't have any idea of what you're doing." That sour moment alone may have been enough to make any Apple-Xerox marriage tricky . . . I got acquainted with a young widow, observes a writer, who lived with her step-daughter in the same house. I married that widow. Shortly afterward, my father fell in love with the step-daughter and married her. My wife became the mother-in-law and also the daughter-in-law of my own father, and my wife's step-daughter is my step-mother. My father's wife has a boy, who is naturally my step-brother because he is the son of my father and of my step-mother, but because he is the son of my wife's step-daughter, my wife is the grandmother of the little boy, and I am the grandfather of my step-brother. My wife also has a boy. My step-mother is consequently the step-sister of my boy, and also his grandmother because he is the child of her step-son; and my father is the brother-in-law of my son because he has his own step-sister for a wife. I am the brother-in-law of my mother; my wife is the aunt of her own son; my son is the grandson of my father; and I am my own grandfather!!! Welcome to the eighth anniversary of the Carnival of Homeschooling. The first Carnival of Homeschooling was published in January of 2005. This is the 419th edition. The start of a new year is a traditionally a time when many step back, review the previous year and ponder what they want to accomplish in the coming new year. I have spent dozens of hours in the last couple weeks doing this conventional activity. ChristyK shares one of the end of year activities that she likes to do in Holidays, housecleaning and homeschooling, posted at Houseful of Chaos. She finds that homeschooling gives meaning to the odds and ends she finds while housecleaning, as just about everything can be turned into a lesson in some way. Melissa has a fun way to look back over hundreds and thousands of years in Classical Conversations A CC Timeline Book, posted at The Cork Board. It is a handy way to integrate timeline cards and history memory work. Barbara has some kinds words and makes a great point in Homeschool Encouragement, Every Single Week for Eight Years and Counting, posted at Barbara Frank Online. Her summary is: "The Carnival of Homeschooling is awesome, but don't use it to make comparisons." Thanks Barbara! Jan has A Dose of Encouragement & A Handful of Advice, posted at Encouraging Homeschooling Mothers. She has some great advice on what to do at the start of a new year. From cold, cold New York, Cristina shares advice that it is Better to Bake than Curse the Cold, along with a couple other ideas on how to survive this time of year, posted at Home Spun Juggling. From far off Germany comes Astronomy for Kids - Week 1 - Star Map, posted at Highhill Education. This is the first post of an astronomy unit study. Detailed instructions are given for creating a star map for locating constellations. More astronomy activities will follow in the weeks to come. Jamie writes of her experience with Pinterest and the Homeschooler, posted at MomSCHOOL. She has found Pinterest to be an awesome place...a world of neat, beautiful, and crafty. Yet, back here in reality... Pinterest can be used to homeschool your kiddos in a fun and easy format! A concerned mother asks for advice about homeschooling her 4-year-old daughter. Several people have responded to How would you answer this? posted at Trivium Pursuit. After the holiday break it can be hard for both parents and children to pick up the harness. Getting Back to School has some suggestions, posted at Online Education for Kids. One of the problems with the start of a new year is all the goals we start making. You CAN NOT Get It All Done … And Why It’s Really Okay! has some great advice on how to get a fresh perspective, posted at HomeGrownMommy. Homeschool Music - No Tiger Moms Here has a low-key approach to music studies that results in slow--but steady and relatively tear-free--progress, posted at Petticoat Government. As part of the end of year reminiscing I have included A little bit about the Carnival of Homeschooling. Kathy says "Mark Twain had strong opinions and a gnarly wit. I imagine if he were to write a top 10 list for aspiring writers, it would go something like this" Mark Twain’s Top 10 Rules for Writing, posted at Life Verses. Denise asks "Have you made a New Year’s resolution to spend more time with your family this year, and to get more exercise?" Everyone can exercise their mental muscles with the 2014 Mathematics Game, posted at Let's Play Math! Christine shares the experience of working with her daughter in Collaborating With K, a cross post with Christine Guest Designs, from Our Curious Home. If you have enjoyed this carnival, please spread the word. Please mention the carnival on your blog, Facebook, Twitter, and other appropriate places. You can also help promote the carnival by adding the carnival images. Learn how by going here. Next week the carnival will be held at Home Spun Juggling. We thank everyone who has helped out. Thank you to all the participants in this carnival. And thanks to all those who help promote the Carnival of Homeschooling. With the 8th anniversary of the Carnival of Homeschooling I thought some might enjoy a little history of the carnival and maybe links to some of the resources. My wife and I started blogging in October of 2005. We had been following various blogs for a couple years and decided to give it a try. At the time one of the blogs I read regularly was The Education Wonks. For several years EdWonk ran the Carnival of Education. The carnival did a great job of capturing various topics about education scattered across dozens of blogs. I read the Carnival of Education almost every week. After Janine and I blogged for a month the thought hit me that there was no Carnival of Homeschooling. There were hundreds, maybe even thousands of homeschooling blogs at the time, but no one had organized a Carnival of Homeschooling. We talked it over for a couple weeks and then decided to take the plunge. On January 2006 we published the first Carnival of Homeschooling. It was a lot of work, especially since we had never done it before, but we got lots of submissions and it came together well. Since then we have had a Carnival of Homeschooling every week. We had a great group of bloggers who take turns hosting the carnival. I am so grateful. Currently we have about 30 hosts and I just rotate the carnival through the hosts. Over the years we've had hosts bow out and we've others take up the load. Most people who submit to the carnival normally end up reading the Where to send your submission for the next Carnival of Homeschooling post. 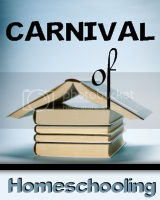 At the beginning we had some differences in vision for the carnival and a list of expectations was captured in Participating in the Carnival of Homeschooling. I keep the Carnival of Homeschooling archive fairly up to date, though one time it fell a couple months behind. Initially I just captured the carnival edition, the date, the blog and the carnival. After awhile one of the hosts suggested including the theme for each carnival, which I've done. There is also Schedule for the Carnival of Homeschooling which gets updated every couple weeks. At the start I used to try and schedule three and six months out, but I found that every so often as we got close to a carnival date something would come up and a host would need to back out, so now I generally try to schedule three to six weeks out. The last link I'll include here is to the Guidelines for hosting the Carnival of Homeschooling. We found it helpful to spell out exactly what we expected the hosts to do. Whenever someone expresses an interest in hosting the carnival I have them read the guidelines and ask if they can support and follow them. It has been a great eight years. At some point I'll probably pass the carnival on to someone else or shut it down. I'm not ready to do either, but I expect that some day it will be time for me to move on. The main reason the carnival has been so successful is all the hundreds of people who have hosted, helped promote and participated in the carnival. With over 400 editions and a rough average of 30 posts per carnival we've had 12,000 posts submitted to the carnival That is a ton of support and I am truly thankful. "Everyone is entitled to an *informed* opinion." The "Environmental Engineering News" published some rather sobering information about punishment for drunk driving convictions in other countries. In Australia, the names of drunk drivers are printed in newspapers under the caption, "He's drunk and in jail." In Malaysia the driver is jailed and, if married, the spouse is jailed. In the United Kingdom, Finland and Sweden there's an automatic jail term of one year. In Turkey, drunk drivers are driven 20 miles out of town and forced to walk back. In Bulgaria, a second drunk-driving conviction results in capital punishment. In El Salvador, your first offense is your last -- execution by firing squad. The first 90% of the task takes the first 90% of the time, and the remaining 10% takes the other 90%. At a mental hospital the staff found some of the patients were gaining weight, so they were put on a diet of a glass of Tab and one apple for lunch. After eating their light lunch, the group would start to sing to everyone else. This became known as the "Moron Tab and Apple Choir". Recently, Munich, Germany was having a severe problem with there dog population. It was skyrocketing beyond belief. In a matter of a couple of weeks, the population doubled and then even tripled. They had to put together a special emergency committee to solve the problem. But, the dogs continued to multiply. The dogs started to infest Munich's neighboring city's. One day, the committee got a call from a nearby mill. The man was frantic. "Please, you've got to send help! The hills are alive with the hounds of Munich!" In shark infested waters, a wise fish never travels without a porpoise. In high school we had an interesting teacher we called tortoise, cause he taught us. There's a battle outside and we join in the fray. `The Observer' [English national Sunday paper] reports on `the nightmare of a woman robbed of 8,750 pounds'. Guns don't kill people. Driving 40 in the fast lane kills people. Don't shoot me, I'll move over. Cover me, I'm about to change lanes. If you have tried to pick up or drop off passengers at Los Angeles International Airport, this should be familiar to you. The white zone is for loading and unloading of guns only ... no shooting. One of the speakers claims his mother told him to marry a girl from San Pete, Utah, then no matter how bad things got, you would know she'd had it worst. Another speaker, the father of six kids, was asked why didn't he stop at one or two. The reply was "My wife and I don't think all the children in the world should be raised by beginers." "Great ideas are better than good ones because they both take about the same amount of time to develop and the great ideas aren't obsolete when you're done." Which blew up 4 megs and the SBA"
So far all we've gotten seven submissions to tomorrow's Carnival of Homeschooling. It would be really nice to have a decent amount of posts for the 8th annual anniversary edition! If you have something, please go here for the instructions on sending in a submission. Please remember to send in a post about homeschooling for the next Carnival of Homeschooling. The next Carnival of Homeschooling will be held here at Why Homeschool. This will be the 419th edition of the Carnival of Homeschooling. This will also be the 8th annual anniversary edition! Isaac Asimov Predicts in 1964 What the World Will Look Like Today — in 2014 is a fun read. And the article has links to other predictions of the future from the 1960s. This infographic is a nice summary of how education has changed in America over the last couple hundred years. I have a lot of respect for John Stossel. Over the years I have enjoyed many of his shows and his columns. My TV producers asked our Facebook audience to vote for a topic they'd most like to hear discussed on my year-end show. The overwhelming winner, for some reason: the education standards program Common Core. Most Americans don't even know what that is. But they should. It's the government's plan to try to bring "the same standard" to every government-run school. This may sound good. Often, states dumb down tests to try to "leave no child behind." How can government evaluate teachers and reward successful schools if there isn't a single national standard? But when the federal government imposes a single teaching plan on 15,000 school districts across the country, that's even more central planning, and central planning rarely works. It brings stagnation. As they say, read the rest of the column. This will also be the 8th anniversary edition! This week's Carnival of Homeschooling is up at Our Curious Home. Welcome to the Carnival of Homeschooling. I sorted through old family photos taken in December to illustrate this carnival, I figured the same patterns would show up this year in your families as well as mine.